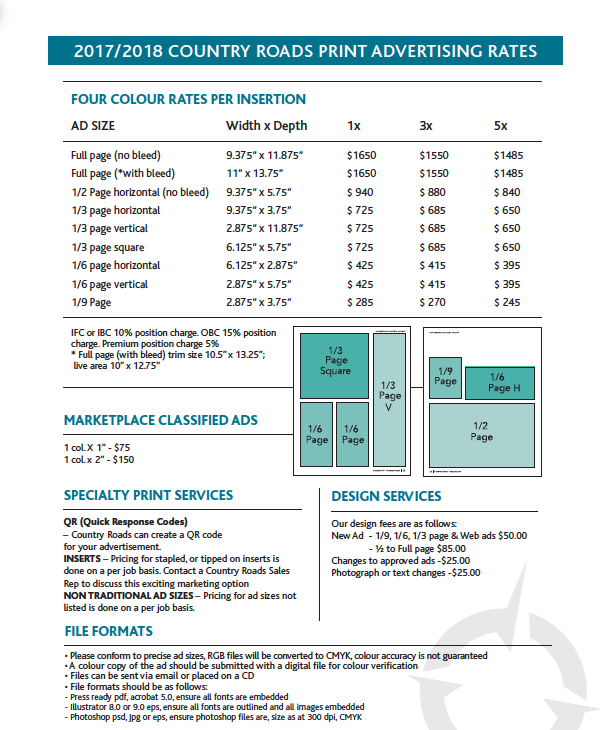 Looking to reach your target market? Country Roads is informative, respected, and reaches over 270,000* readers annually. When marketing your well-respected business, it's essential to align yourself with an equally well-respected marketing product. With our excellent reputation, Country Roads is a top choice. 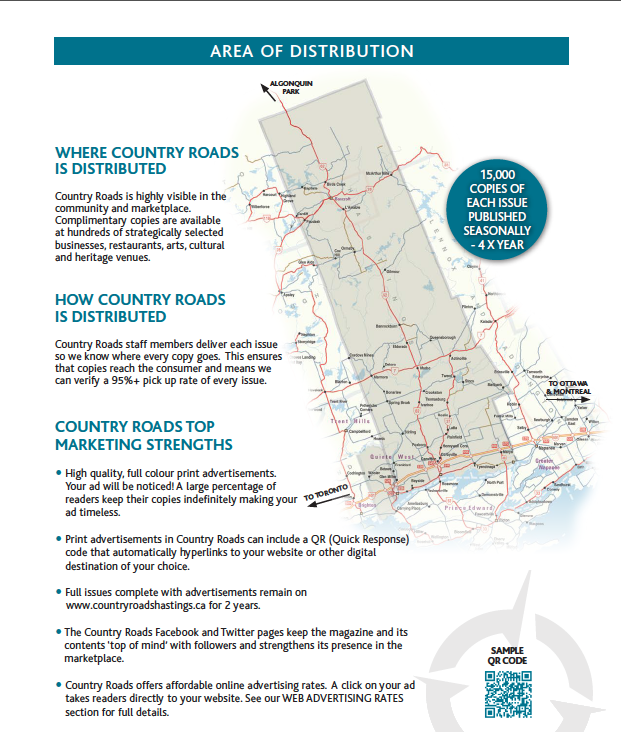 Here are 12 reasons why you definitely want to advertise with Country Roads! Online ads are 'click-through' linking readers directly to your website. 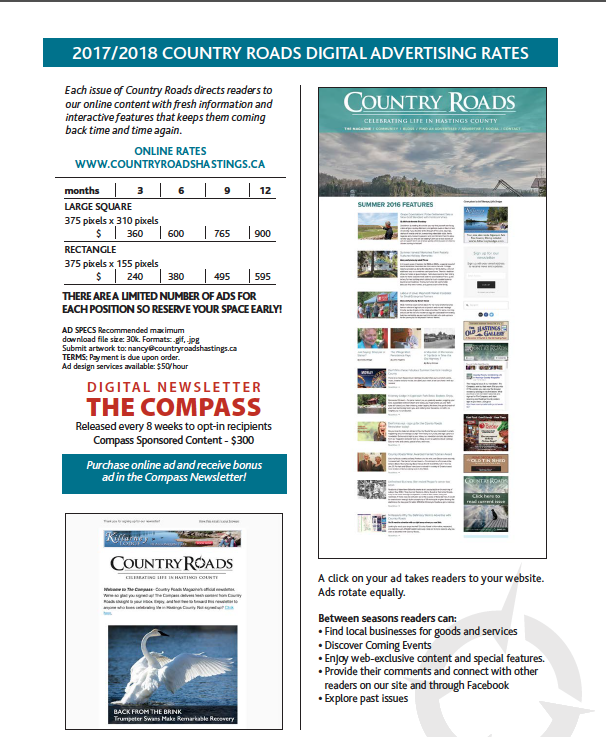 Each issue of Country Roads directs readers to our online content with fresh information and interactive features that keep them coming back time and time again. Between seasons readers can: explore the current issue, find local businesses for goods and services, discover coming events, enjoy web-exclusive content and special features, and explore past issues. Click here for our marketing team's info and contact. Lamb shanks are my favourite thing to order in a restaurant. This recipe is so good that I may never go out to have them again…absolutely delicious! The perfect dinner for company and so easy. 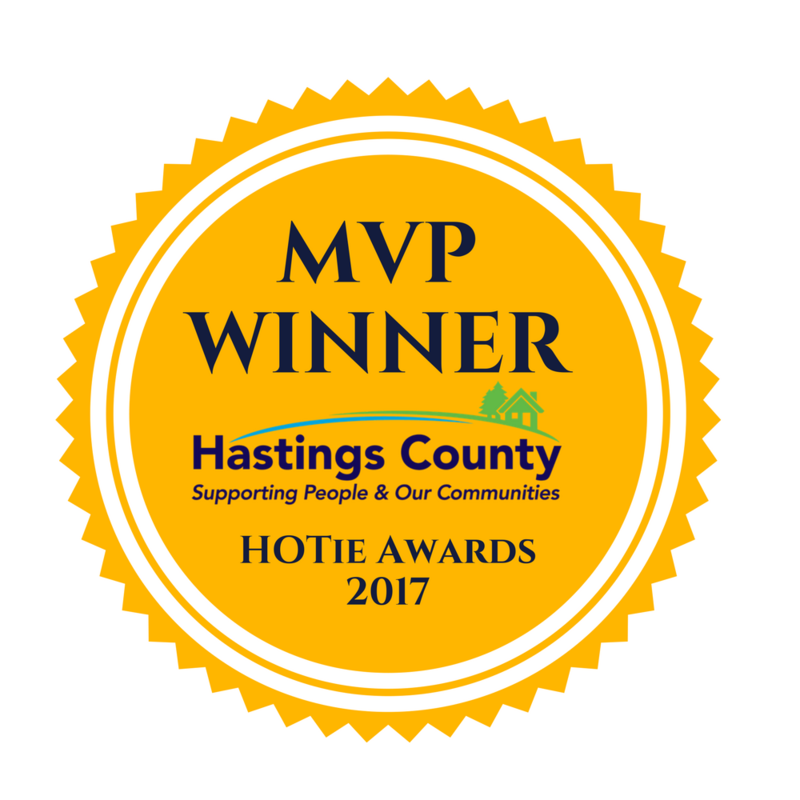 There is so much happening in Hastings County! Check out our list of events, music, theatre and arts venues, or submit your event so we can share it with our readers! As summer slips away I still crave the taste of a citrusy dessert...and this one is the best! It’s so easy and so delicious. At a dinner party that I hosted I looked down my table to see one of the guests licking out the dish...I mouthed, “Would you like more?” His response was to close his eyes and nod yes. Perfection. The Country Roads Photo Contest! Enter now for your chance to be featured in COUNTRY ROADS MAGAZINE Winter issue and to win one of our great prizes! One of my favourite summer salads is a slaw made from three of the cabbage family members: cabbage, kale and Brussels sprouts. It is great to take to a potluck and it stays fresh for days in the fridge. If you have a food processor or mandolin it takes very little time to make. Best of 2018: Unique places to shop in Stirling-Rawdon! If you haven't been to the shopping districts of Stirling-Rawdon, now is the perfect time to go! ! Are you a gardener? Fashionista? Gift-giver? Reader? Then you definitely need to check out Stirling-Rawdon's shopping destinations! It still has the feeling of winter and nothing is better for a weekend lunch than a bowl of homemade soup. This coconut-spiked squash soup is so easy that children can help make it (and eat it!!). If by chance there is any leftover (not likely...) it can be frozen for up to 2 weeks. YUM!